« How To Go Veg Without Going Crazy. Article 1: Omnivore, Carnivore, Herbivore. In the previous article, we covered the differences between species according to their preferences in food sources. If you watched the highly informative video in which Milton Mills, M.D., delivered a speech for the Vegetarian Society of Hawaii, you might have gotten an idea of where we humans fall in this paradigm. However, there are so many approaches in nutritional science that each claim to be the one and only way to go! If you started doing your own research and came across all these confusing terms, names, articles, diets… well, trust me: I know how confusing this can be. In this article, I’d like to break down some of that information for you. So what’s a good word to denote someone who has decided to stop eating meat, either to gain good health or to ‘save the planet’? Vegetarian is the word that first comes to mind. A vegetarian person excludes meat/poultry/fish and all of the meat by-products from their diet. A lot of vegetarian people do so out of compassion for animals: “If it had to die, I’m not eating it.” Vegetarians still consume dairy and/or eggs, and therefore are sometimes referred to as lacto-vegetarian (if they eat dairy) or ovo-vegetarian (if they eat eggs). Did you know that some foods, while containing no meat, cannot be called vegetarian? For example: dark Guinness beer and parmesan cheese. How so? 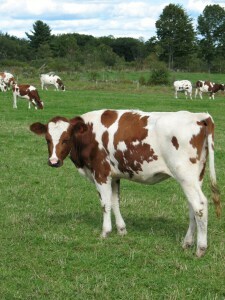 In the production process of both, a derivative from calf stomachs called rennet is used. Rennet contains an enzyme called rennin that helps in fermentation. Guinness claims that the final product (the beer) has hardly any traces of rennet, so it can pass by a slight margin. Parmesan cheese manufacturers are required by US law to add rennet in their cheese making process. There is a great article on No Meat Athlete blog that covers even more foods of this kind. And now… tat ta da da! The definition of vegan! A vegan person has even more passion for the living creatures, thus shunning not only meat, but also all of the foods that come from animals without the animal having to die (dairy, eggs, honey). Vegan people also advocate against using leather, wool, and down, with an explanation that getting those from animals requires a fair amount of animal cruelty. There are a lot of great masterminds in the world of science who have spent their entire careers doing nutritional research only to come to the conclusion that eliminating all animal foods from one’s diet can make the world of difference for one’s health. I’m going to talk about these wonderful people in one of my next articles. I highly recommend reading both of T. Colin Campbell’s books that outline all of the conclusions he came to in his scientific practice – The China Study, and more recent Whole. When I decided to start this blog, exploring the whole food plant based diet was my main focus. I know I’ve been interchanging the terms all too often, calling my approach ‘vegan’, ‘whole food plant based vegan’, and ‘plant based’. So bear in mind: I am striving to follow the above description of the ideal human diet as much as possible, trying to develop recipes that follow these guidelines. I realize that there’s still a lot to learn, so please don’t judge me too harshly! This term was introduced by Joel Fuhrman, M.D., to describe an approach that focuses on consuming the most nutrient-rich foods available to us. Doctor Fuhrman specializes in treating and preventing disease through this nutritional approach. According to a nutritarian diet, we must focus on nutrients per calorie in our food: if it’s poor in nutrients, then why eat it? The emphasis is made on whole, unprocessed (or minimally processed) foods, lots of fresh salads making up to 90 percent of what we eat daily. The other 10 percent can contain foods with a lower nutrient-to-calorie ratio. While all of the above seems like another branch of the bigger ‘vegan tree’, I found some articles that mentioned that nutritarian diet allows for some meat consumption as long as it falls into that 10 percent slot. Therefore, we can classify this approach as both vegan and non-vegan, depending on individual preference. In a nutshell, macrobiotic diet emphasizes consumption of local seasonal fruits and vegetables, combining them with different varieties of grains, and avoiding highly processed foods. The focus is on consuming foods that balance each other and bring harmony to our bodies. While the followers of this diet don’t eat eggs or dairy, they are allowed to eat fish occasionally. It’s also important to chew thoroughly and avoid overeating. For people following fruitarian diet it is important to source their food from plants while making sure not to harm each plant. Eating fruit is a great example: you don’t have to chop down a tree to get some fruit from it. Fruitarians consume fruits and vegetables, as well as beans and grains, often raw. Needless to say, no meat is allowed: you can’t slice a piece of steak from a cow and then just let it go on with her day. Raw foodism, as it turns out, has a lot of branches of its own: raw veganism, raw vegetarianism, raw animal-food-allowing diets. Generally, the followers of raw food diet prefer to eat unprocessed or minimally processed foods with a belief that heating food over 115°F destroys most of its vital nutrients and enzymes. Some raw food enthusiasts consume meat, seafood, eggs, and raw milk, usually making sure that all of them are organic. Well, looks like I’ve covered quite a bit in this article, and I’ll be very glad if this info helps answer some of your questions regarding ‘this new healthy-eating thing’! While I prefer to stick with a whole food plant based approach in this blog, you are always free to make your own choice! Until next time – eat more plants! Tagged Joel Fuhrman, Michael Pollan, Milton Mills, T. Colin Campbell, vegan, vegetarian, whole food plant based diet. Bookmark the permalink. A great article! The explanations of each diet approach are very precise and informative. Since I’m into WFPB eating and lifestyle, it’s great to see definitions of all the other approaches so that I can compare them to my own, and better explain being WFPB to other people. Thanks again for a fantastic post! I’m happy to see another WFPB blogger! Thank you Cooper! I’m planning on posting more articles of this kind, so stop by anytime!